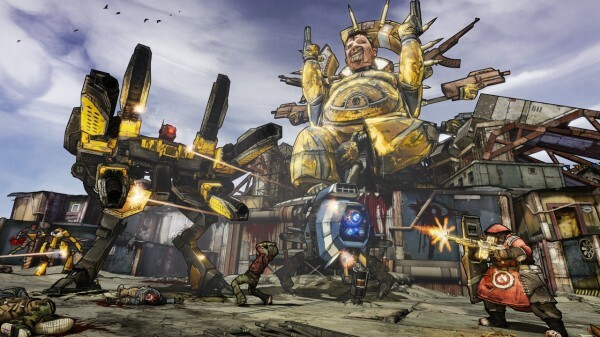 While all the big Borderlands 2 news surrounded around a new character class, what about the last campaign expansion they have planned? Gearbox didn’t want you to leave their PAX East panel unsure so they decided to give the audience a tease. What do we know? Brick is hilarious as is Tiny Tina and it looks based around a tabletop game called ‘Bunkers and Badasses’. Could the new expansion be set inside the silly tabletop game the people of Pandora play in? Let’s hope since that does sound amazing. No other details besides it’s the largest expansion yet and it’s expected to release by the end of June. Let us know what you think of this tease for a new expansion in the comments or post in our forums.